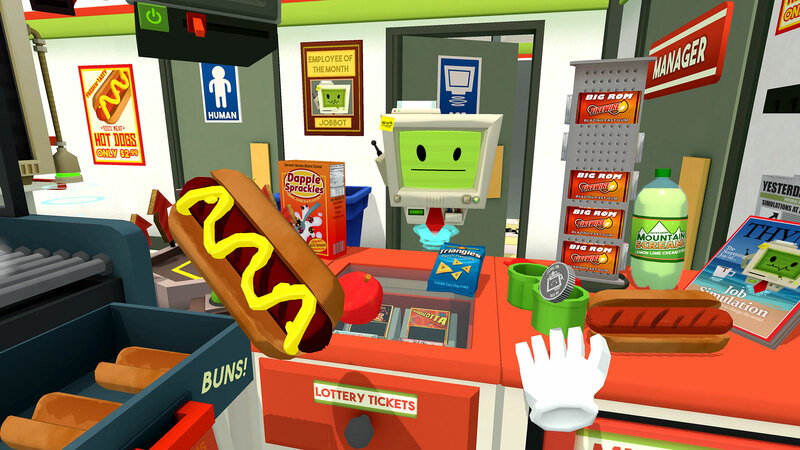 The year is 2050 and we suddenly live in a perfect society in which all robots have replaced all human jobs. 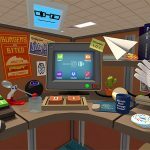 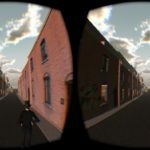 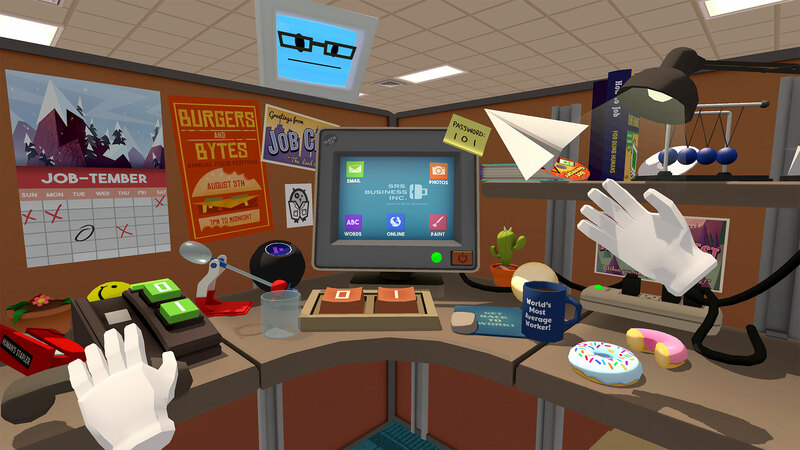 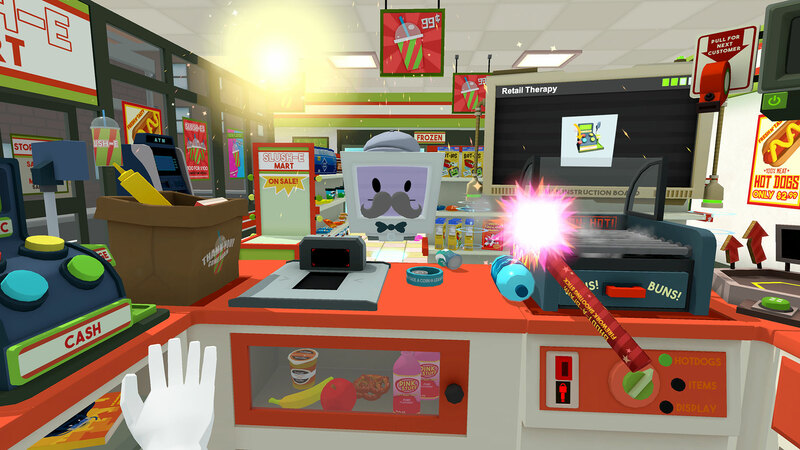 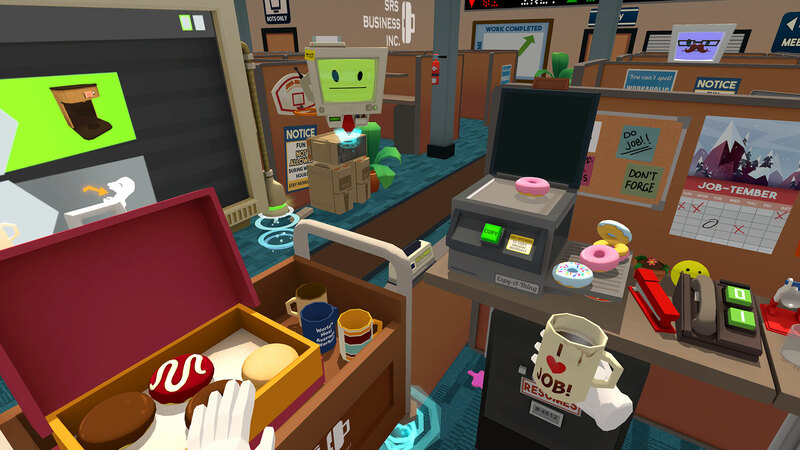 So people need a Job Simulator to learn and feel what it really was like having to work. 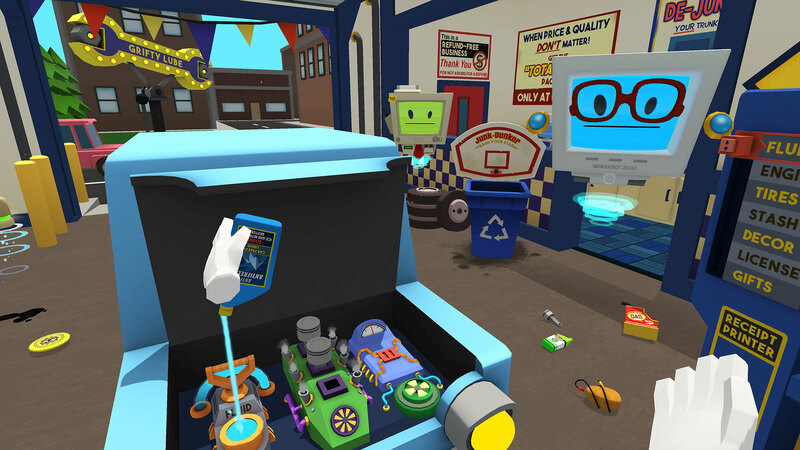 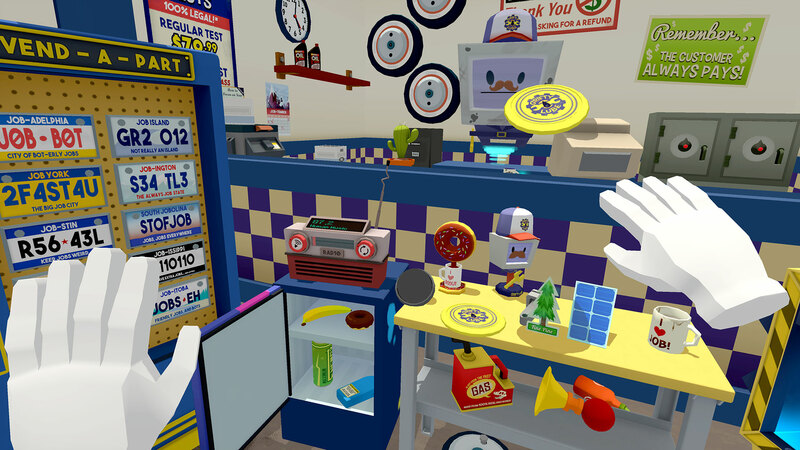 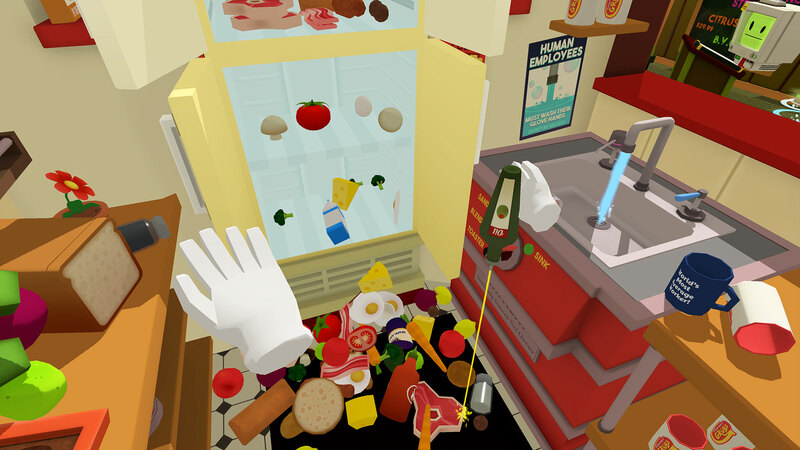 Step in and relive the glory days of hard work by simulating some of the most interesting jobs of our times: office worker, gourmet chef, convenience store clerk, and automotive mechanic. 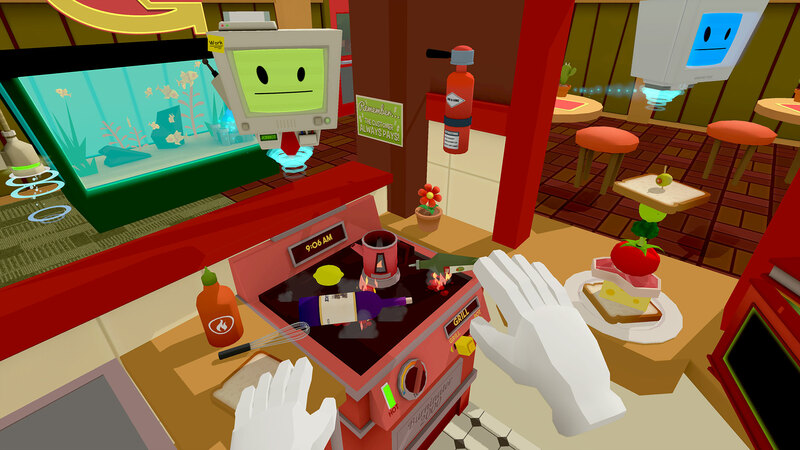 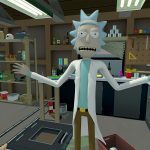 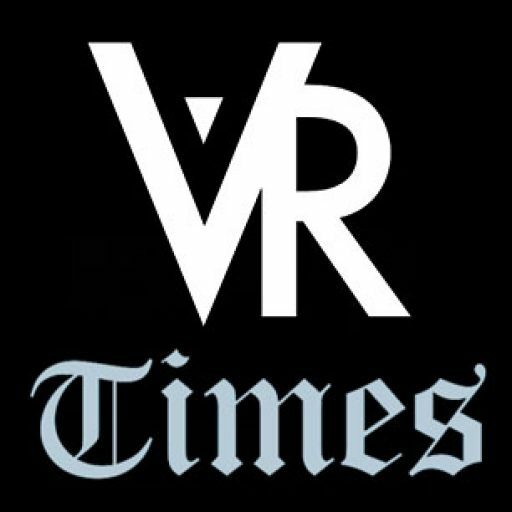 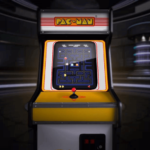 You can buy the game at the Oculus Store, Steam, and the PlayStation Store.